While we were super sad to see Bills' Woollahra home disappear, we breathed a heavy sigh of relief when the news broke that Luxe would be opening up a new location in Queens Court. The hardest part is deciding whether you want to go for breakfast, brunch, lunch, dinner, or just to pick up a little pastry or three. We headed in to test out the brunch options, and were not even remotely disappointed. Luxe Woollahra is a little less industrial and a lot more plush than its Newtown and Bondi siblings. Think plush, pink lounges, PVC couch and marble bench tops. 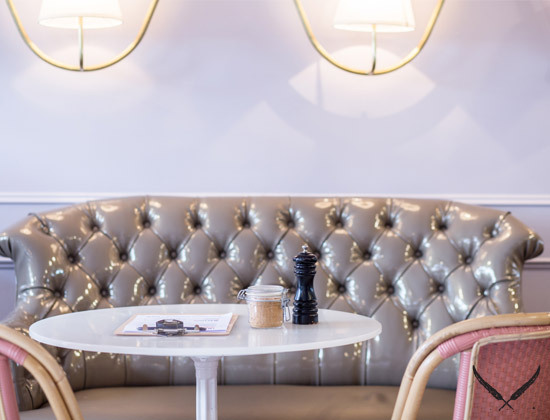 Luxe Woollahra has really tapped into its eastern suburbs clientele, so when we heard it was just as (if not more) delicious as its counterparts; we raced to check it out. In true brunch style, Luxe offers sneaky glasses of champagne and bloody Marys, but we went the opposite route and opted for a coffee and an apple juice. The coffee is the perfect balance of creamy, rich and slightly sweet, a great way to kick off brunch, if you ask us. While it was difficult to make a decision, the creamed corn breakfast was calling and it refused to budge from our minds. 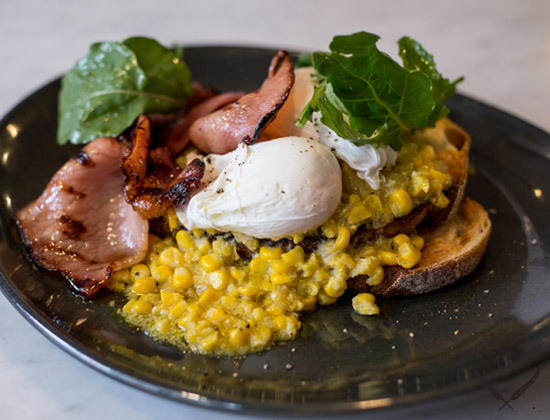 This devilish dish features a dollop of house-made creamed corn served atop two slices of perfectly crusty toast with a side of maple bacon with just the right hint of sweetness, and a poached egg that breaks to create an oozy river of corn and yolk. We spent every last second mopping up the sauce, and made a mental note to head back to for a second helping ASAP. Sitting across the table and tempting us like a mirage in the dessert was the Luxe breakfast plate, a simple but wonderfully effective combination of sourdough toast, fresh avocado and tomato with a generous chunk of perfectly soft goats cheese. Slathering this on toast with a squeeze of lemon was a pleasure indeed. And we definitely licked the plate with no regard for whether it was right or wrong. 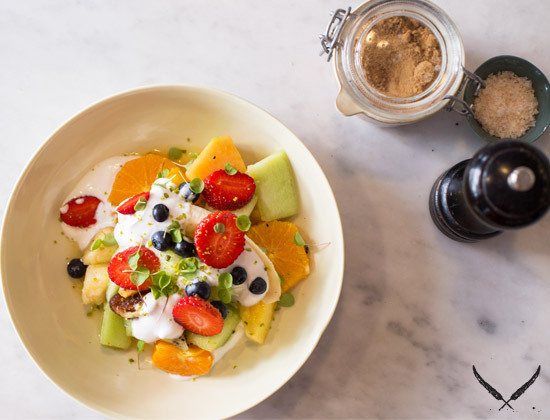 And for those with a sweet tooth, the seasonal fruit salad with Luxe coconut yoghurt and pistachio will hit the spot any time of day with its balance of fresh, fruity and creamy with a hint of nuttiness. As we left, we scanned our diaries to find out when we could return and dig in to the lunch and dinner menu. Stay tuned, Listers!